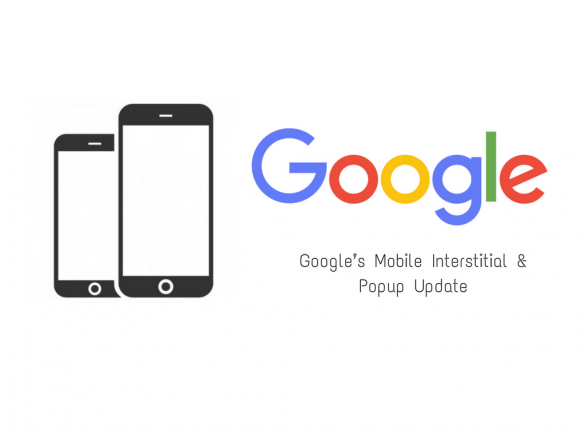 Back in August last year Google published a post talking about the negative affect of interstitial and popups on mobile devices and how they were planning on rolling out an update to combat this in early 2017. The post went on to give examples of the kind of intrusions that ruined the user experience such as popups covering the main content and full page intersitials as well as some examples of what they would not consider intrusive as long as they were used ‘responsibly’ such as login boxes for non public content, inersitials with legal or cookie warnings and banners that use a reasonable amount of space and are easily dismissible. January 10, 2017 update: Starting today, pages where content is not easily accessible to a user on the transition from the mobile search results may not rank as high. As we said, this new signal is just one of hundreds of signals that are used in ranking and the intent of the search query is still a very strong signal, so a page may still rank highly if it has great, relevant content. Please head to the webmaster forums if you have any questions. So what exactly is affected? As the update hasn’t been live for even 24hrs at the time of writing this post it’s hard to day what the affect will be in the long run. If your blog or website has any kind of popups then it would be wise to read Google’s post and make sure that you meet their requirements. 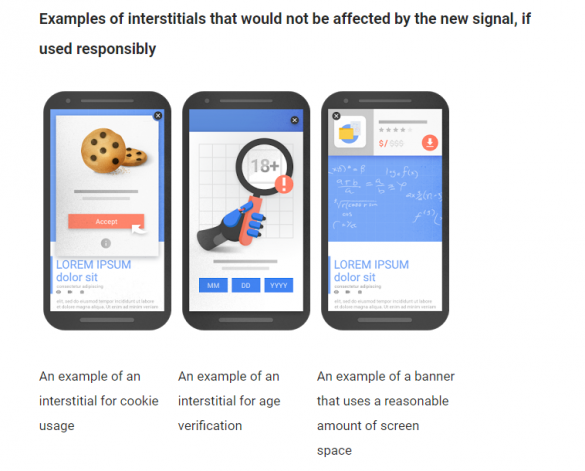 Google will be applying this update on a page basis meaning if you have pages using intersitials or popups that break their recommendations then only those pages will be penalised and not your entire site. @virtualesteem no, the interstitial part is separate from the mobile-friendly test. As mentions above cookie & legal warnings as well as logins for non public content and popups that aren’t too big and can be easily dismissed are ok in Google’s eyes. I think over the next few days and weeks we should get an idea of how this update has affected search traffic on mobile websites. With email list building being such a huge part of building up a websites traffic and for marketing methods it will be interesting to see how people respond to this. Do you run popups and intersitials on your blog or website and if so will you continue to use them after this update? David has been working in the online media industry for over 7 years. He writes about technical SEO for bloggers and is also a Python coding & Linux enthusiast.